Made of H&D Brand with good after-service.Any products problem, do feel free to contact us first, we will give you help in any time!Thanks! It wonderful and unique idea for an engagement, a proposal, wedding gift, wedding cake topper, wedding decoration, graduation gift, Mothers Day, Christmas Day,Valentine's Day, an Anniversary, a Wedding Accessory, a birthday gift, housewarming gift or just for the difficult to shop for person in your life. Or just for you, just because!A must for collectors! Package includes 1x butterfly ornament,1x H&D logo. 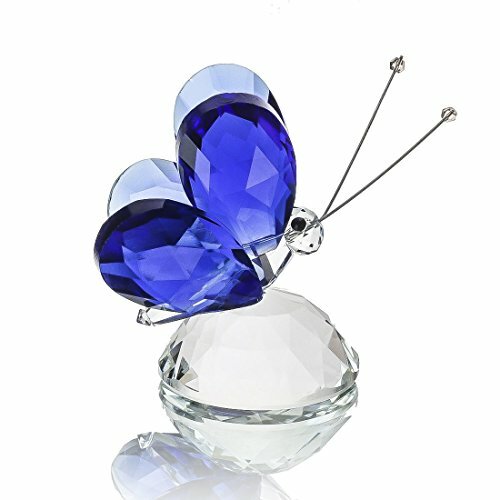 Cute flying butterfly figurine by H&D, richer color,value to buy!! !